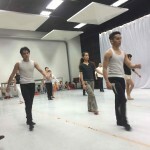 Ballet Philippines had an open rehearsal at the CCP Rehearsal Hall for their upcoming performance of “The Art of Dance”, showing this coming February 14-23 at the RCBC Theater in Makati. I was able to take pictures, so my photo of the day post is going to be very long today. I actually took about 2900+ stills on my iPhone 5S. Who knew I could take so many pictures in the span of 60 minutes! I narrowed it down to my best shots for the day. It’s still about 81 pictures. I couldn’t bear to let them languish unappreciated on my hard drive, so they’re all going up here. They presented 8 excerpts from the show. The show is very different in that there are two versions of the show, Day and Night. Day is for the general public. Night, is a bit more risqué, and is considered for mature audiences only. 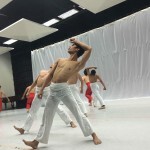 Excerpt 1 is from “Paquita”, choreographed by Marius Petipa and Pierre-Frédéric Malavergne, being restaged for Ballet Philippines by Victor Ursabia. Music by Edouard Deldevez. Highlights principal dancers Jean Marc Cordero and Katherine Trofeo. 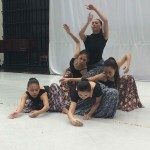 Excerpt 2 is a new work by one of Ballet Philippines’ young dancers, Gillianne Gequinto. The music will also be original, but they didn’t play it during rehearsal. 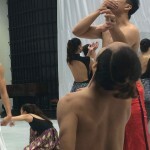 It will première during the performance. Excerpt 3 is “Maestro”, set to the music of National Artist Lucio San Pedro. 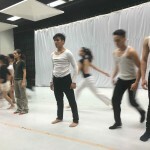 Choreography by Paul Alexander Morales. Soloist Rita Winder and Junior Principal Dancer Richardson Yadao perform. 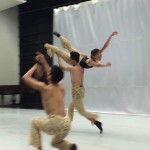 Excerpt 4 is “Black Swan Male Variation”, restaged by Victor Ursabia. 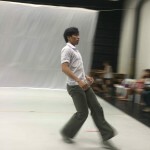 Performed by Junior Company Member Victor Maguad. 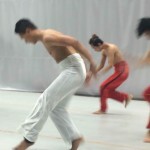 Excerpt 5 is “Muybridge Frames”, choreographed by Denisa Reyes, with music by Philip Glass. It was inspired by the photographer Eadweard James Muybridge, who pioneered photographic motion studies. 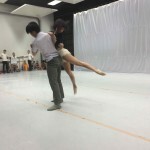 The lighting of the rehearsal hall only show you what the dancers are doing to their bodies. I expect the lighting during the performance will show an entirely different effect and mood. Excerpt 6 is by Ernest Mandap and called “Zebra”. 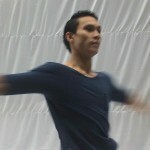 Ernest is a Ballet Philippines alumnus who has been based in France for the past 22 years. 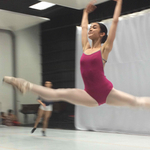 Highlights principal dancer Carissa Adea in the pas de deux. All the principal dancers are in the group performance. 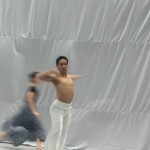 Excerpt 7 is a new work by Brando Miranda. Music is from Dvorak’s “Songs My Mother Taught Me” and Von Paradis’ “Sicillene. Junior Principal Dancer Earl John Arisola and Junior Company member Monica Gana perform. 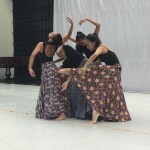 Excerpt 8 is Rurok, choreographed by Alden Lugnasin and music by Jed Balsamo. I’m pretty excited to see both versions of The Art of Dance. It promises to be a showcase of the range and skill of our nation’s premiere dance company. 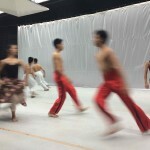 An exciting end to Ballet Philippines 44th season.